Long distance relationships are hard. There is not really another way to put it. A constant attempt to connect two separate lives into one over miles and miles of distance is sometimes a struggle. Loneliness sets in, dates are over the webcam, and face-to-face interaction is little. Add into this mix danger, a lack of communication, and war — that long distance relationship just became harder.But, they work. People always say “I don’t know how you do it,” and sometimes we aren’t even sure how we do it, but it is doable. I am a true believer that it takes a special kind of someone to deal with the military lifestyle – always changing (seriously, you can’t plan anything), exciting and tiring, and lonely.Lonely because family members spend months away from their service members with little to no communication. Days are spent wondering if they’ll call, if they made it safely through their training or mission, and when they will be home. Phone calls are static and broken, and usually when you’re half asleep because it’s daytime on the other side of the world, but you wake up to answer it anyways (because your phone is glued to your hand, even when you are asleep). Valentine’s day is spent with your girlfriends, and a surprise bouquet of flowers is magical. Long distance relationships are hard, but they work. I recently found an article on Discover Fit & Health about love and relationships. The author offered up a list of reasons why long distance relationships don’t work. Lucky for us, I have an Army of friends (no pun intended) who are currently dealing with distance of all sorts willing to offer up the secrets to making it work and dealing with the distance. 1. Keeping busy is key! Suzanne Alter-Siemon’s husband, Sgt. Terence Siemon, US Army, is currently living at a temporary duty station (TDY) in Virginia. The couple left their lives together in Hawaii for Terence to head to Virginia and Suzanne to head home to her family in New York. Suzanne is spending ample time with her family and friends, and is working to make the time apart easier and quicker. 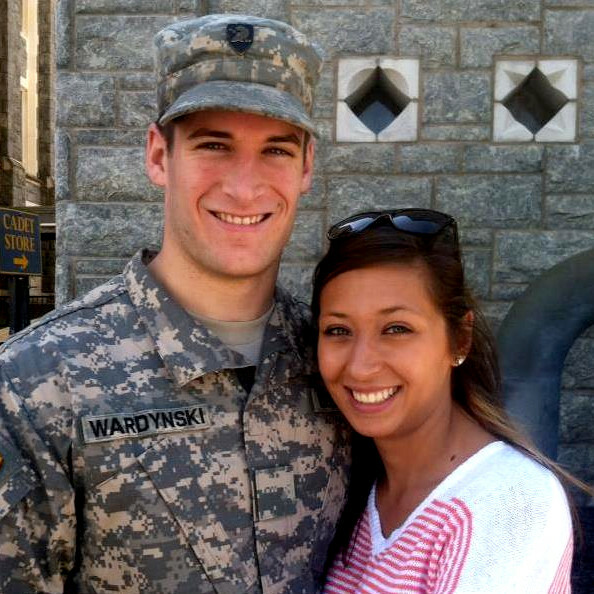 Carrie Victoria, senior at Mount Saint Mary College, is currently living away from her fiance, 2LT Cody Waterman, while Cody trains to become an aviator pilot at Fort Rucker, Alabama. Carrie shares that staying in a daily routine makes the time apart go by much quicker, “always one day closer to being together!” Carrie will graduate MSMC in May 2014 and finally join Cody for a temporary end to their distance. 2. “Always remembering they’re bettering themselves and serving the country to protect you brings a light into the darkness.” – Kenny Fusco, Mount Saint Mary College. E1 Donald Kubik, Kenny’s best friend, is currently training with the US Navy in Illinois. 3. Communication. I know this one is tough, depending on your personal situation, but Kristine King shares that while her boyfriend, Joseph Montellese – E5 US Navy, is deployed to Japan, their iPhone’s have been a blessing. As long as Joe is connected to WiFi, the couple is able to communicate on Joe’s spare time (despite a 14 hour time difference). “We send each other a lot of pictures…what we look like for the day, projects we are working on, food we are eating, just to make us feel like we still know what the other is up to even if we can’t respond to each other,” stressing the importance of keeping each other involved in their independent lives. 4. Take care of yourself. 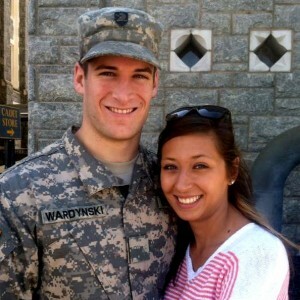 Currently, Vanessa Friske is separated from her husband, LT Michael Friske (US Army), while he is at Ranger School in Georgia. Vanessa recently moved herself to their new home in Clarksville, TN, and is facing little communication with her husband. Letters are currently their only form of communicating, which often take a long time to be delivered. So, Vanessa adds that while still attempting to communicate as much as possible is important, “it is also important to keep taking care of yourself…working out, putting your best into work or school.” By doing things that can boost your own confidence and occupy your mind, you take your mind off of the distance. “Besides, who doesn’t want to lose a few pounds to show off when you finally get to see them?” she adds. 6. Lean on someone for support. “The military wife community is one of the greatest, because although we have to miss our significant other, we have each other to lean on for support. It’s almost like we turn into each other’s temporary husbands. Even if it’s just for a weekend in the field, a month of training, or an entire deployment, there is always someone there for you and including you on plans to make sure you are busy.” – Amy DeCosta (Fort Hood, TX), wife of 1LT Jonathan DeCosta, US Army, currently deployed to Korea. Jon is stationed at Fort Sill, Oklahoma with his wife, Jenn, while his family resides in North Carolina. So, long distance relationships are possible, and they do work. These individuals are proof that it can happen, and that it does happen. Remember…it takes a special kind of someone to endure these hardships, so jot down these helpful hints to dealing with the distance, and remember them for when your time comes.